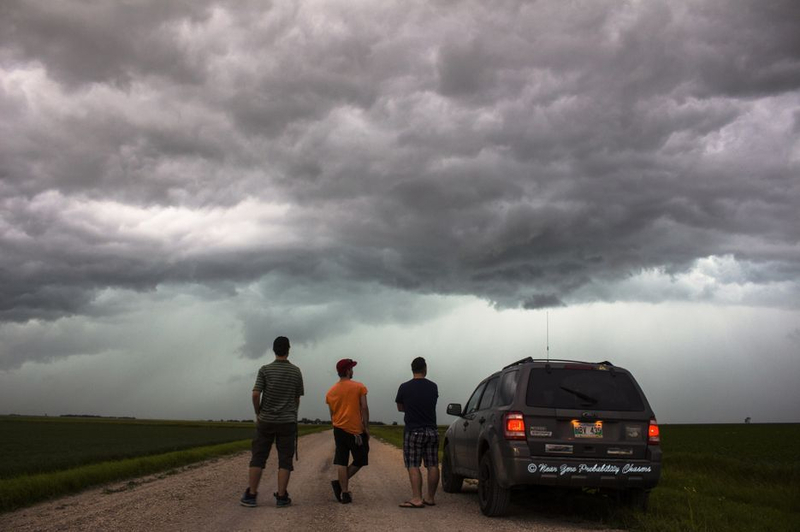 "Storm chasing with passion and dedication." 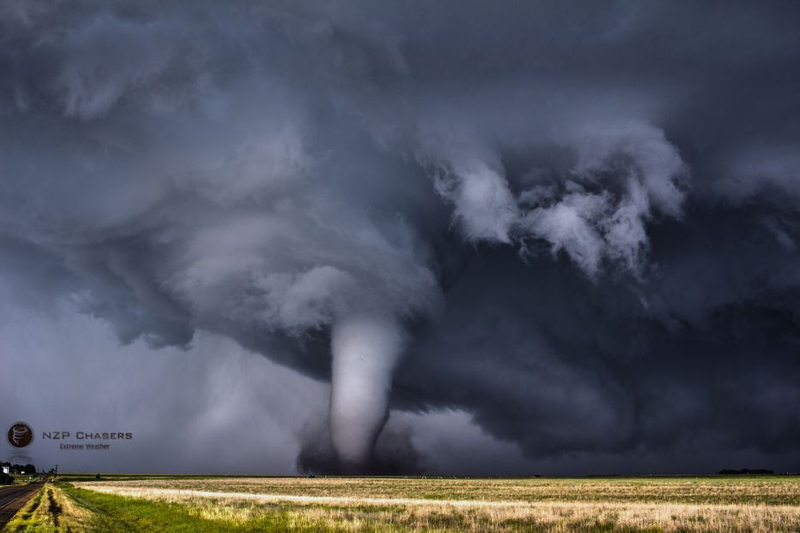 We are a group of individuals of all ages who chase severe thunderstorms and tornadoes. We chase in the USA and Canada, but most of us live in Canada. 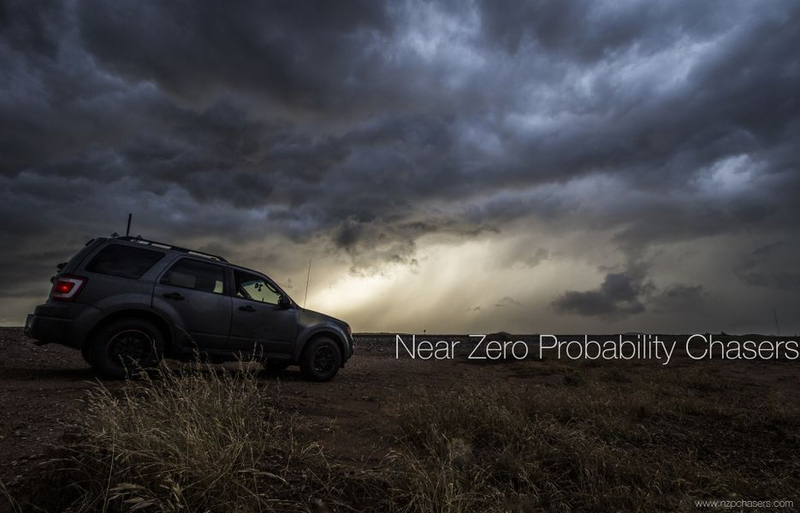 The origin of the name "Near Zero Probability" is because we chase every setup, anywhere. If there is a near zero probability of a tornado, we will chase it with the same dedication and passion as with major probability setups. 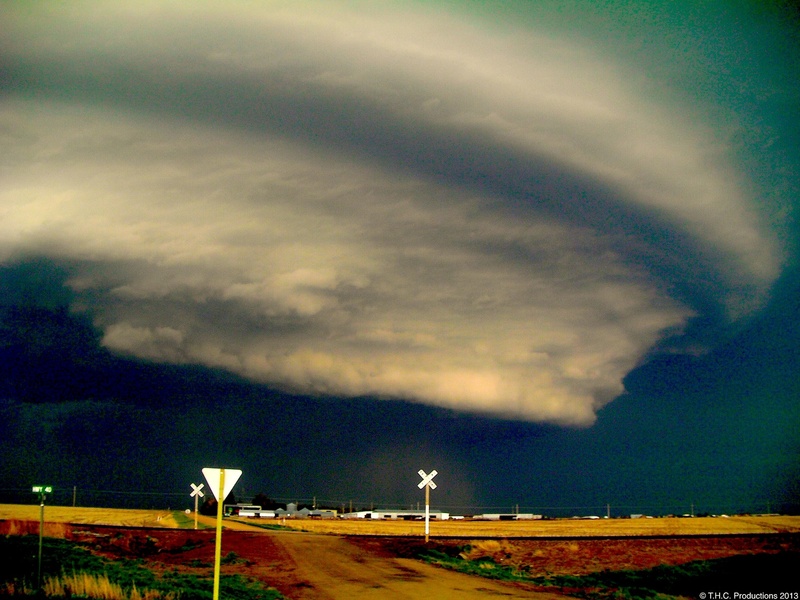 This allows us, most of the time, to be alone on the roads and have amazing pictures of isolated severe thunderstorms. Even though we usually don't see a tornado on those low probability day's, just seeing and capturing the mesmerizing supercell thunderstorm on the open fields of the Great Plains makes it all worth while. This dedication enables us to capture amazing pictures and never regret for having decided not to chase that day. Our mission is simple; to chase every severe thunderstorm, whatever the tornadic probabilities and to inform the public as best we can about severe weather events. Our goal is to provide our viewers with a more higher quality product and more professional videos. My name is Francis, I'm 23 years old and an Atmospheric Sciences student at university. I have only been chasing for the last three years and most of my knowledge about severe weather has been self-thought and acquired in the field. I am the founder of the NZP Chasers team and Facebook page. I started the page in January 2014 and it has since then been a huge success with people joining & contributing to the team. I live in Winnipeg, Manitoba in Canada and I head down to the US plains as much as I can to chase, but in the months of July up to September I plan to chase in the Canadian prairies. I'm also first aid & CPR certified. I'm not into chasing for the fame & money, I just love sharing my passion for severe weather with anybody that shows interest. I have witnessed the powerful Moore, OK EF5 tornado in 2013 and since then I have a huge respect & admiration for storms. "Keep your focus on your passion in life and the things you enjoy doing. Youll get there. Trust me. I'm doing it." My name's Kyle Wirtel and have partnered with NZP chasers to fulfill a life long dream. I am 25 years old out of Jefferson city , MO. I am a trained skywarn spotter for the National Weather Service and I am also trained in search & rescue , disaster relief and medically trained. I have been chasing since 2007. My purpose for chasing is to work alongside the NWS and local emergency agencies to report and save lives. I also chase for photography and video and personal research.
" There's no telling how many miles you'll have to run while chasing a dream." My name is Ronald Theriault. My interest in severe weather is fairly recent. Ever since our first improvised chase in Oklahoma in 2010, I realized how powerful nature can be while witnessing my first tornado. I also witnessed hurricane Irene in South Carolina in 2011 when it struck the East coast. Our vacation plans in the Outer Banks, NC had to be cancelled due to flooding and the destruction that it left behind. 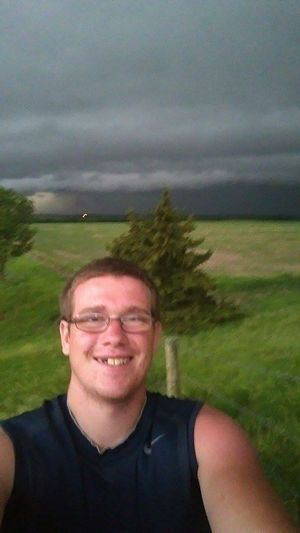 My most significant experience happened recently on Wednesday June 18th 2014 while chasing with my son Francis in South Dakota when we saw 5 tornadoes back to back. Hi all! My name is Matthieu Lacroix, I’m the French chaser whom joined with Francis during the last tornado season! I’m officially joining the NZP Chasers team since I will be returning to tornado alley this year! Yeah! For those who don’t know who i am, I’m a photography student and I am now addicted to chasing since my last trip. I have also participated in the documentary entitled The Reality of Storm Chasing. I joined the team because it is the best team out there in my opinion and I subscribe to their "Near Zero Probability" chasing motto and I'm sure the next season will be a great season for us! 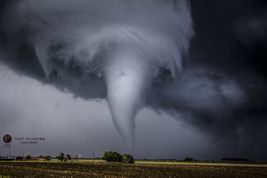 You can follow me on my personal page at Au coeur de la Tornado Alley. 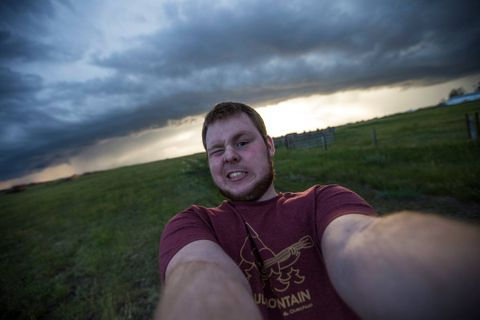 I'm not only here to see tornadoes, I'm also here to feel the elements and for those dream shots!